A very cheery and warm welcome to you and thanks for visiting our site. Despite the fact we are primarily a Part Subpart wotsit and doodah looking after the continued airworthiness of hot air balloons we are also involved in repairing balloons, trailers and just about anything mechanical. Our interests, like our customers’, are varied and wide ranging so you will find a lot of stuff here that has nothing much to do with balloons. Naturally down the pages bit, which may be to your left, you will find technical stuff, lists of events, balloon ride operators and items for sale. This page is updated about every couple of weeks and new articles added around the same time. The News bit is also updated every couple of weeks but anything of an airworthiness or important nature is added as an update. Its been quite quiet here with Metz and Bristol going on and, as we scribble, Northampton is getting a bit of a battering but things are picking up again. On the visitor list we have had Mr Peanuts in for a bit of a fettle to his socks, the Swatch Watch has now got all its paperwork in place and is back to being G-BMJJ, also back is the mightily scary Allen Scythe is back for a drive related problem. In the News section 17.08.13, on a very sad note, our dear friend Joe Philp passed away on 16th August. Our thoughts go to Heather and Joss. No doubt there will be a gathering in due course. Metz and Bristol went off well although the weather and crop situation in Metz didn’t go quite to plan this year. There is a link to a great bit of film from the spooky balloon vortex that caused mayhem for a while at Metz which is well worth a look. The CAA have put out another missive about the EASA licencing and implications that it throws up and the new Radiotelephony Manual is out. I managed to get out and do me first check flight of the year, congratulations to Anita Frayling. New articles include another offering from Mr Roake on the 50th anniversary of the Porsche. Not my cup of tea but undeniably a very successful design that continues to evolve and well worthy of a feature and gently written. 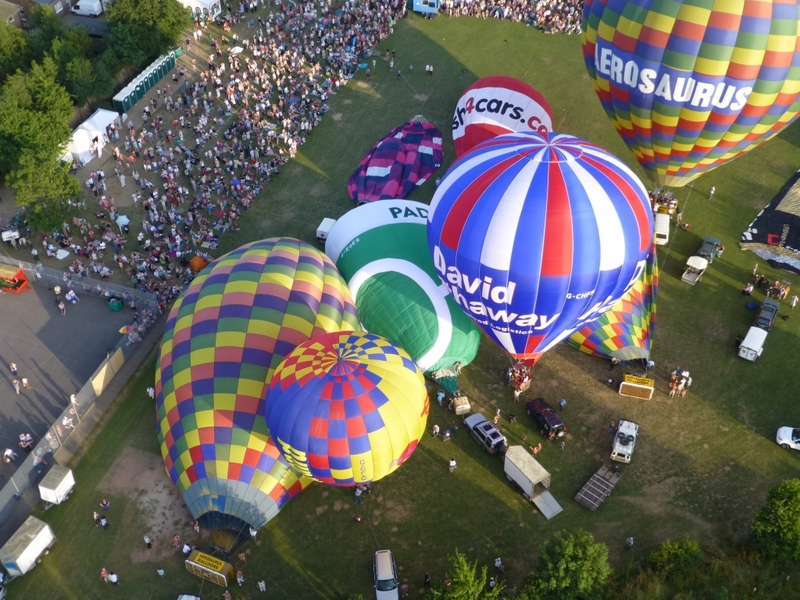 There is also a report courtesy of roving tellyman Steve Bray’s wife Helen on the always popular Tiverton Balloon Festival and, if I can get it finished, a bit on the EAA Sports Biplane but there’s a lot to do yet so it may try and finish the report on our Northern Ireland trip. Over the yard progress has been made on the Moto Guzzi project. We have finally got the damaged exhaust studs out, one required some gentle drilling out and re-tapping but the new studs are in so it's sort out the exhaust next. Also on the upside we may well have found a good man with a turbo who pronounced the impeller on Baz’s Colorado really poorly despite showing no outward signs and confirming our fears but a new one is now on the way so hopefully that can all go back together next week. I still haven’t managed to remember who I lent me valve spring compressor to but have relocated my chop saw so things are starting to even out. The O-84, whose registration escapes me for the moment, that we put a new row of panels in is all loaded up and ready for a flight, hopefully this coming week and I have found all the bits of me old hopper so I may give that a go as well. It also seems I’m off to Mondovi at the end of the month to do a check flight so very kindly I’ve been given a flight to Nice so I can catch the Ventimiglia to Cuneo train for an uphill trip on this great railway. I’ll try and remember to take a camera and pencil this time! Thanks for visiting please have a wander round and enjoy the stuff here. If we can be of any help please feel free to give us a call. Chris, John, Jane and Alice (yes she’s back with a small child she keeps in a shoebox).